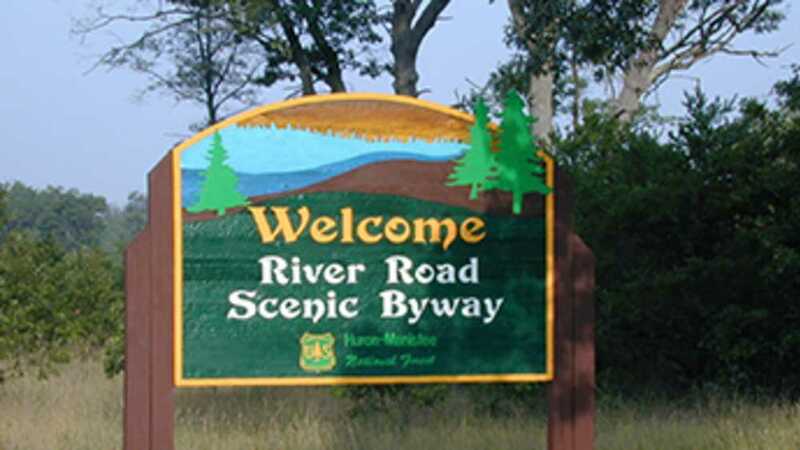 The twenty-two mile River Road National Scenic Byway extends westward from Lake Huron into the Huron-Manistee National Forests. It parallels the historic Riviere aux Sable (River of Sand). Byway travelers will find abundant recreation opportunities, from motorized trails for off-road vehicles and snowmobiles to quiet trails for hiking and cross-country skiing. Camping, fishing and boating facilities are accessible from the byway. For a more relaxed experience, visitors will enjoy the lush forest and breathtaking vistas from the many scenic overlooks along the route.